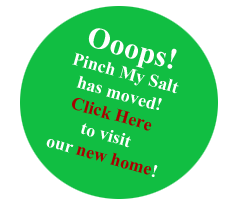 The new improved Pinch My Salt site can be found here. The new Contact Page can be found here. Don’t forget to bookmark the new site once you get there!